Japan's economy suddenly doesn't look quite so gloomy. It bounced back from a bad end to 2015 with growth of 1.7% in the first quarter of this year, the government said Wednesday. That's stronger than what many economists were predicting and ensured the country avoided slipping into recession. Despite the good news, Japanese policymakers still face stiff challenges in their efforts to drag the world's third-largest economy out of the doldrums. The Chinese economy, Japan's biggest trading partner, is slowing down. 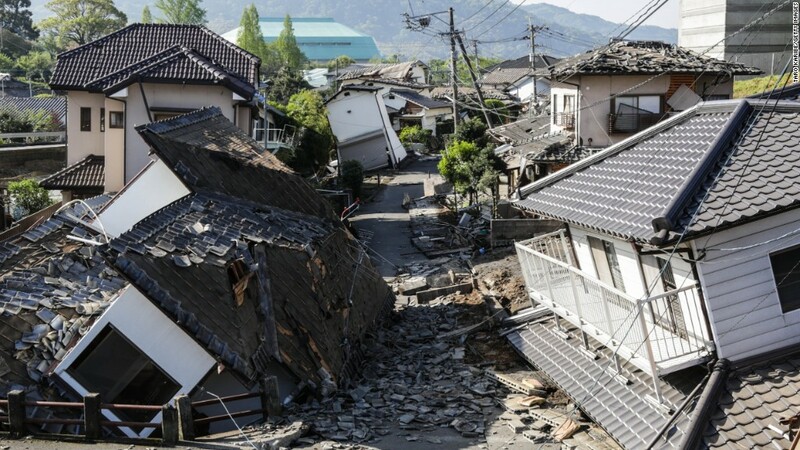 And Japanese businesses suffered disruption to their supply lines from a series of earthquakes in April. "Japan's GDP figures are notoriously volatile," said Marcel Thieliant, a Japan specialist at Capital Economics. "There can be no doubt that the economy is not doing well." The country's currency, the yen, has risen significantly against the dollar this year, hurting exports. The country's top carmaker, Toyota, has warned the stronger yen is expected to eat into its profits. Economists have been speculating that Japanese Prime Minister Shinzo Abe could delay an increase in the sales tax that's scheduled for April next year. A previous hike in the tax in 2014 took a huge bite out of consumer spending, pushing the economy into recession. There are also calls for Abe to significantly ramp up government spending to boost the economy. Thieliant warned that Wednesday's better-than-expected data "reduce the chances that the government will postpone the tax hike." The numbers also raise further questions over the next move by the Bank of Japan, which has surprised investors twice this year: first with the controversial decision in January to taking a key interest rate into negative territory, and then by holding off from stepping up stimulus measures last month.